With the head chain in place and her black sheer maxi well cut, the gypsy princess decides to take over the world, one step at a time. While head chains and maang tikas have been around for decades, this Indian inspired gold piece of head gear that I decided to work is my fall accessory 101. While we predict chunky gold pieces will rule in Fall 2013, I will wear this gold chunky piece on my head, for I am the urbane gypsy princess. The filigree gold earrings with the green drops complement the head chain just enough to let the golden made up eyes add the final touch. 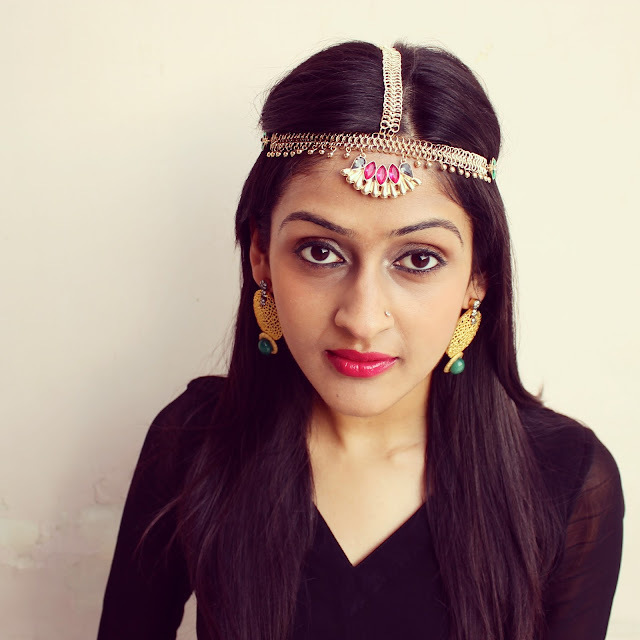 If you have not checked out Anushree Jewels, you might want to take a look for classic Indian inspired costume jewels that totally had me in a heartbeat. Black sheer maxi: Fabric and made by my best friend, S.
Love your jewels! Great look! Love your head piece. It is spectacular!!! Gorgeous! Your dark circles are almost gone! Is it your concealer or sm new cream? Thank you! :) Yep, used a concealer :D But thankfully dark circles aren't too big a problem for me. But that Clinique cream didn't do much. Oh! And u have such lovely straight hair too :) may i know what concealer and foundation you are using? 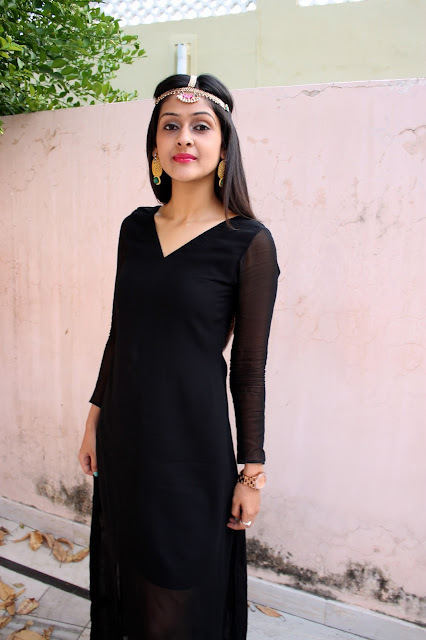 I love the concept of this post..black sheer dress offset with chunky ethnic jewelry. I always find ways to incorporate the traditional pieces with the trendy ones and I think you have done it here perfectly. love your headgear with the intricate design! Disco, you know I love this. Oh-so-much! Looking so pretty in black, love the head gear! Aww! 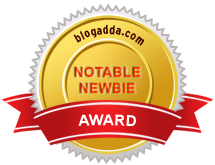 :) Thank you so much! Bold move wearing it on the head Shreya ! But it is looking very pretty on you...The perfect way to bring personality to a black dress is statement accessories.. and you have done it so well!